Help us make banners for the march at Adelaide Fringe in Rundle Mall, under the canopy in Gawler Place. A fun activity for adults and kids alike, we'll supply you with materials and a theme - CELEBRATING STRENGTH. Come along whether or not you can make it to the march later. Join us and MC Tessa Waters of Fringe Wives Club (MELB) in the north western corner of Hindmarsh Square (near the fishbone playground) at 5:30pm sharp for pre-march formalities. This is an AUSLAN interpreted event, and volunteers will be available to assist with access requirements and diverse needs including chaperoning at accessible entry points, and ensuring wheelchair accessible viewing is secured. Please contact us if you have concerns, needs, or questions that can be addressed in the lead up to the event. This is a family friendly event. Make lots of noise as we stop traffic to march from Hindmarsh Square, down Rundle Mall to Beehive Corner. Bring your banners from home or from our Fringe in Rundle Mall Workshop. Our march is a family friendly event. After party for over 18s to be announced. Celebrate strength into the night! International Women's Day Adelaide 2019 takes place on the land of the Kaurna People. The ancestral tie between the Kaurna People and their land has never been ceded or extinguished. With thanks to Cath Story for this year's artwork and Lucy Hackworth for our poster design. Our event organisers are grateful for the support of the Coalition of Women's Domestic Violence Services of SA Inc. 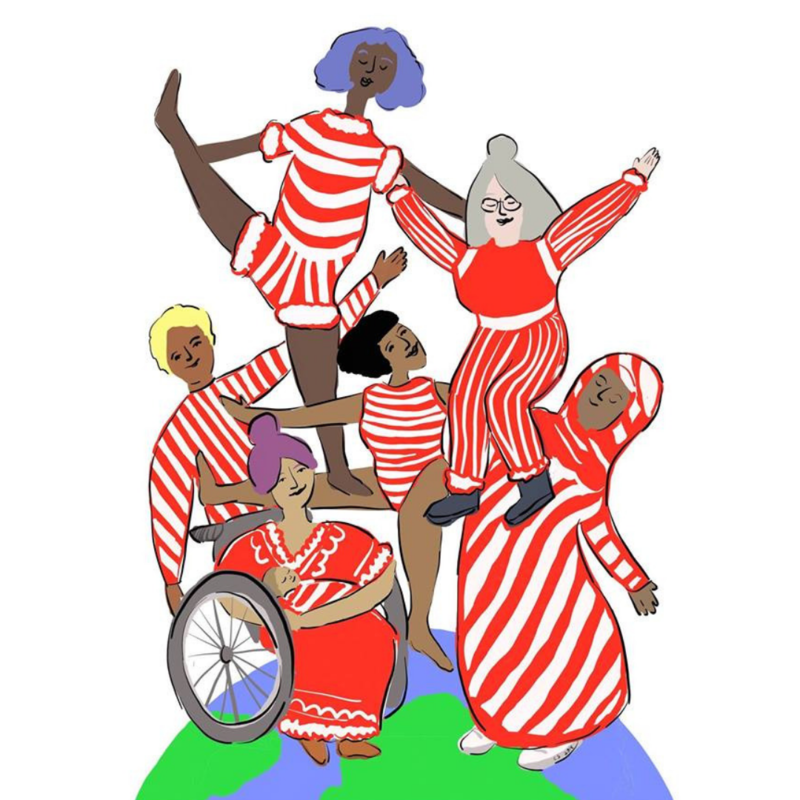 The SA International Women's Day Collective is a group of volunteer, independent feminists.